Complacency is not taking action even when you know you should. It tends to be an issue when you're not sure why a decision matters, or when you're overwhelmed by the details and options involved in making a decision. Complacency may seem like no big deal, but it can have a very negative effect on your finances. Here's how it can hurt you. When you're complacent about how you manage your long-term savings, you can miss out on a lot of returns. If you put off moving your money into an investment or fund, and leave your accumulated savings in a low-interest savings account instead, you're losing money every month. You could be adding to your savings effortlessly with passive income, and by not doing so, you're drastically diminishing your future earnings potential. Take an hour or two to learn the basics of investing. Then set up an account and get started earning a better return. You can always make adjustments later. In the meantime, your returns will be compounding. Complacency might make you feel like you don't need to have an emergency fund. Maybe you haven't rebuilt your fund after a crisis, or maybe you haven't been able to accumulate one at all. When things are going well and your day-to-day life is predictable, an emergency fund might seem unimportant. However, having an emergency fund keeps a small crisis from becoming a big deal. You can't always predict a big expense or income loss; without a plan and some savings, you may end up using a high-interest loan or credit card to handle a financial crisis. That kicks off a fix-it-quick debt cycle, which can leave you backed into an unpleasant financial corner. It can seem difficult to build up an emergency fund, especially if you're already on a tight budget. But even a very small, regular contribution to your savings will add up quickly. Doing what you can is better than doing nothing at all. Maybe you're not taking full advantage of your 401(k) or haven't yet set up the IRA you've been thinking about. There can be some details to work through, but in the meantime, you're missing out on savings and, possibly, matching funds from your employer. If you're failing to contribute regularly, or putting off setting up a 401(k) and IRA altogether, you're jeopardizing your retirement. You're also missing out on tax breaks that come with these retirement accounts. Not sure where to start? Our step-by-step guide to choosing 401(k) investments can help. If your employer doesn't offer a 401(k), here are five Roth IRA accounts you can set up on your own that don't require a lot of money to open. At some point, you made a decision to buy the house or the car or whatever it is. Now, you realize it's not really worth it. The expense is more than you can comfortably handle, and you could live without it. But getting away from this payment — whether it's a lease, a mortgage, or a car loan — seems impossible, so you just … don't. 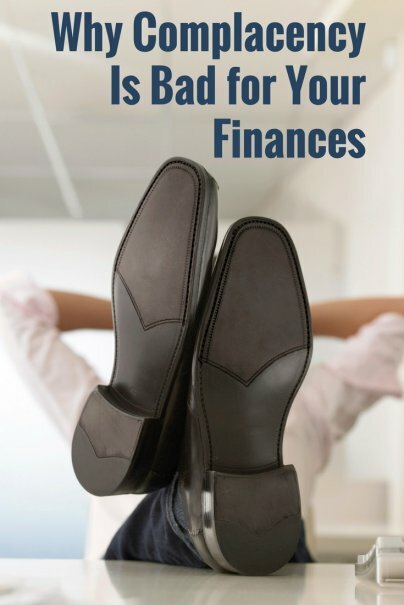 Take the first step by finding out how to get out from under this big expense. There may be an option to end the lease early. Maybe you can sell the car and pay off the loan. Or it might be time to get that house on the market and find something more affordable. The sooner you take action, the sooner you stop losing money. Career capital isn't only about what you make in terms of salary; it's also about the skills and experiences you build, which can add to your marketability. If you're bored, disinterested, or otherwise feeling stuck in your job, but you're staying put, you're limiting your future in terms of finances and fulfillment. The more disengaged and unhappy you are in your job, the poorer your performance will be. You're more likely to do subpar work, miss out on opportunities, and be passed over for promotions. Even if you don't love your job, do your best to gain skills and be engaged while you're there; doing so will open up more opportunities for advancement or a complete career change. Meanwhile, start looking for your next move. It might be time to start a side hustle, network for a new job option, or get serious about starting a business. Don't let time go by and kill your enthusiasm (and your bank account). The sooner you take action, the sooner you can increase your salary and your enjoyment in the work you do.